In April, AOL laid off most of the people who worked for its music sites. Now it has let go of the sites, too: Radio chain Townsquare Media Group has picked up three of the portal’s music properties, along with one aimed at comic fanboys. 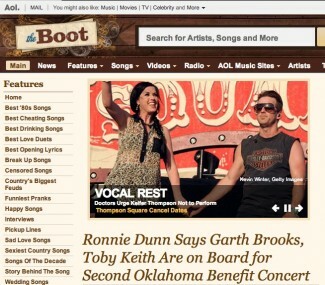 Townsquare has bought country site The Boot, hip-hop site The Boombox, metal site Noisecreep, and ComicsAlliance, from AOL. Townsquare says it has already hired some former AOL Music and ComicsAlliance employees, and that others will come aboard, but didn’t disclose terms of the transaction. This is a full-circle move, since Townsquare Media’s executive vice president Bill Wilson created all four sites when he used to run AOL’s content business, back in 2008 and 2009. Wilson says comscore pegs the four sites’ total audience at 3.5 million U.S. uniques; The Boot is the biggest, with 1.4 million. Townsquare is a radio conglomerate that owns and operates more than 240 stations, and runs another 250 associated websites, along with other sites like TasteofCountry.com, Loudwire.com, ScreenCrush.com; it says its combined digital properties have an audience of more than 52 million visitors. Wilson has been building up the company’s digital presence since he landed there in 2010 and brought a group of AOL vets along with him. Last year, he acquired the music blog ad network formerly operated by MOG, the music streaming service that is going to form the guts of Jimmy Iovine’s yet-to-be-launched “Daisy” subscription service. 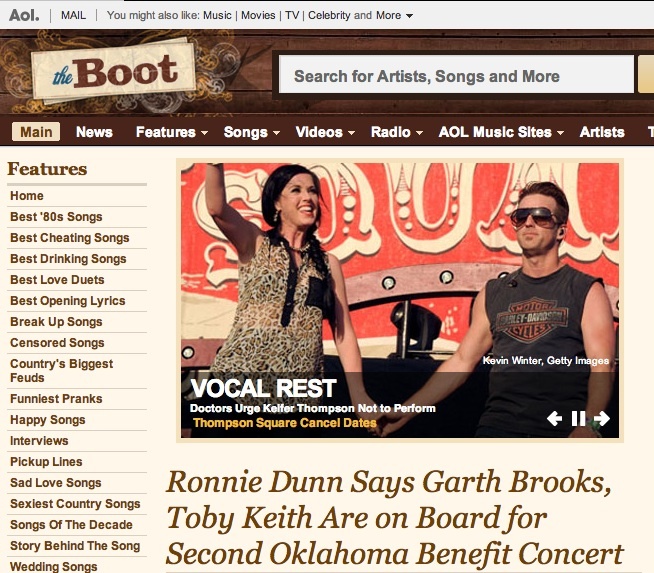 This is one of several moves AOL has made to sell off what it considers non-core content assets. Uncertain for now is the future of Winamp, the once-famous media player AOL acquired when it bought Spinner and Nullsoft for $400 million in 1999, as well as music site Spinner.com itself. For now, both sites have working URLs, and are branded as AOL properties.